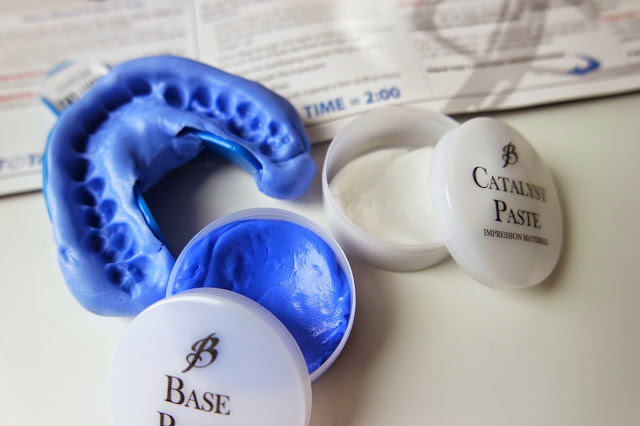 Teeth whitening has definitely become more popular recently and definitely something both of us wanted to try, so when an opportunity arose to try out the Smile Brilliant Teeth Whitening Kit we knew that it was a no brainer and something we would say yes to! Especially for me (han) as I have made it one of my goals for 2015 to get whiter teeth. Anyhow.. Smile Brilliant is based in America however they do ship their products which can take 10-14 days to receive but it only took a week for us to receive our kits (to the UK). PS we believe that it is free if you are in America. So in the kit it contains 3 x base paste and 3 x catalyst paste which you mix together and then place in the provided teeth whitening tray to make your impression that you send off (which cost us £5 postage from UK to America) so that you can receive your own custom mouth tray. Also in our tray included 3 x Whitening gel and 3 x Desensitising gel which you then begin to use once you receive your whitening trays (we'll mention more about in this process and results in our individual posts featuring later on our blog). Also included is an envelope, instructions and a form that you fill out which you send back with your impressions. It's been so long and I don't know why i've been away from blogging as long as I have but this post is definitely an attempt to get myself back into the swing of doing at least two posts a week. 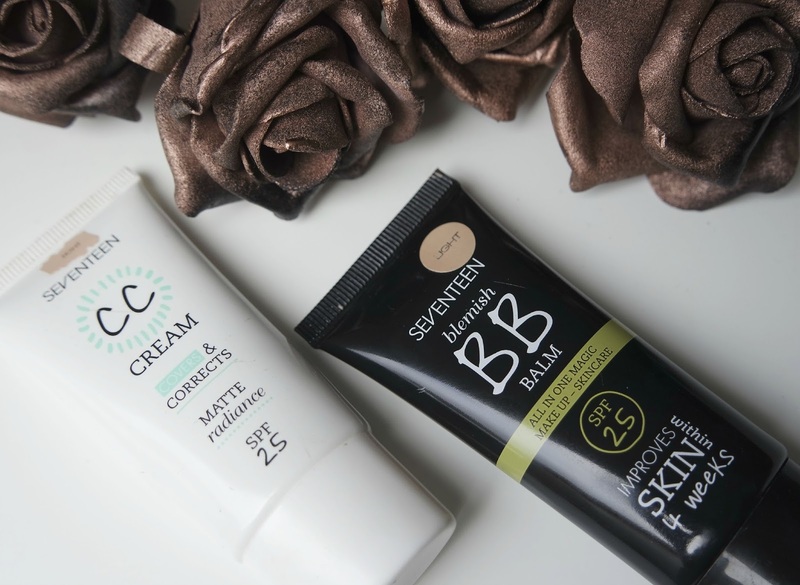 So moving along today I thought I would share with you guys my opinion on Seventeen's CC and BB cream/balm that I have been using out lately. Hey guys so summer is officially here and what I hate about the British summer, is the weather! we do not get as much sun as we would want , therefore tans are lacking. so us British girls need to improvise... and here it is! I have always been a fake tan fan, but I had recently stopped wearing my usual instant one because it left my skin very dry and left a bitty texture. this made it look patchy and unnatural. I hated it. So I thought I would try a moisturiser with a hint of tan to still have a bit of a tan for summer whilst also keeping my skin hydrated. well,,, I am glad I did! this product leaves you with the most healthy, natural looking tan! I love it so much. 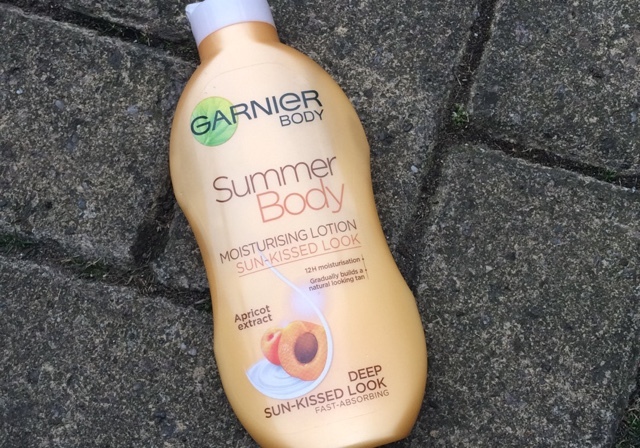 I originally bought it for my holiday, I read on Michelle Keegans blog to use this after gaining a sun tan to keep your tan up ( which is such a great trick if your going on holiday!). Hey guys so for todays post I wanted to introduce you to Cocomelody. They are a dress company which offer the most beautiful dresses. I personally have really enjoyed looking through the different dresses their offer. Whether you are looking for wedding, prom or homecoming, Cocomelody will have the perfect dress for you. I have already seen about 5 I would purchase right away! The above are just a few of my favourite dresses from their 'short homecoming dresses' section. I personally love the variety their offer, there is so many different styles overing something for everyone Picking the perfect dress is so important and this website offers a wide amount of different filters to help you pick the one which is best suited to you and your style. My two favourites are the top purple one, it is so pretty. I also love the second black one because it is so different and unique and has a sense of elegance. However saying that all of the dresses are equally gorgeous. The price is also extremely good for the quality of the dresses. For example the top three dresses in the image above cover a price range from just £63.45 - £146.77. Let me know which dress is your favourite? and what you think to Cocomelody..
Hey guys it's been awhile since i've put up one of these posts but finally here is another mac lipstick from my collection... MAC Lovelorn is actually a new addition and isn't included in my old collection post which I plan to update after this goes up. Anyhow I had this shade sat on my wish list for a few months and my sister finally got me it for my birthday back in May, so thanks sis! 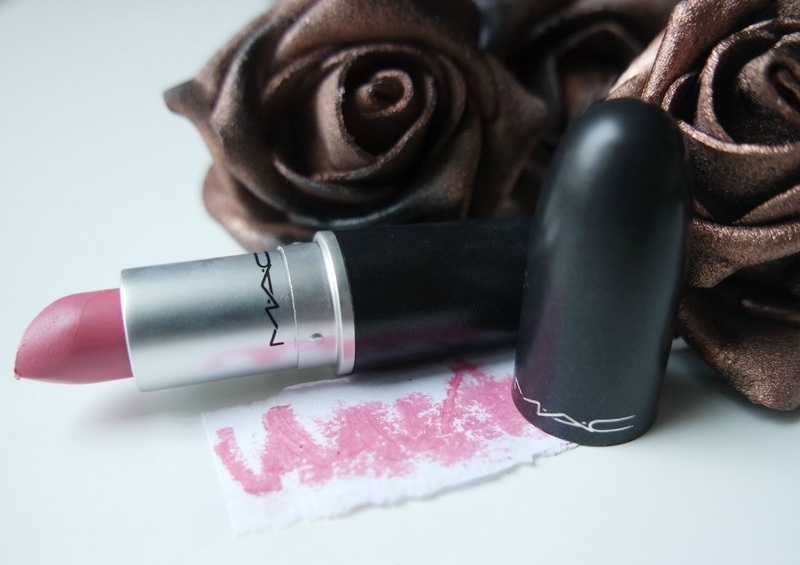 MAC Lovelorn is described by MAC as 'emotive blue pink'. I agree it is a blue toned pink and I am really loving this shade. I think it's an easy wearable pink and i'm slowly falling in love with it. Definitely see myself reaching for it more over summer. As for finish it's a lustre finish which I don't own too many of but I personally like them. 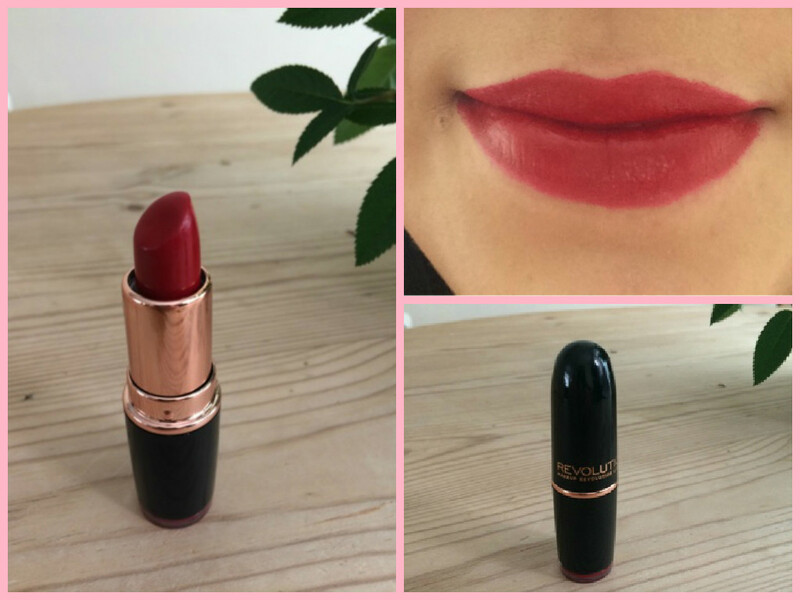 A lustre finish gives off quite a sheen/glossy look and applies really smoothly to the lips. However they do require a few touch ups if you were to wear this for the day. As for coverage its quite sheer but build able. ps: want to see previous mac lipstick post: mac up the amp? or my collection post? The packaging is gorgeous! I love the rose gold. Hey guys so I thought I would review this lipstick from Makeup Revolution. this brand is soo cheap and the quality of the products are really good. Han is the one who actually introduced me to this brand and I couldn't believe what good quality you get for your money. 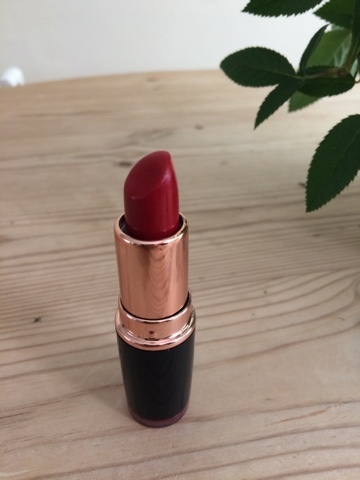 This lip colour is my favourite for nights out, the shade is so flattering and really makes an outfit. I think on nights out it is more acceptable to wear really bright shades, but I would still probably wear this in the day time because I love it so much. Let me know what you think to this shade? I still feel like i'm slacking with getting these posts up! I have taken loads of photos recently but just haven't got round to the typing part yet! But hey ho, here's a post for you's finally! 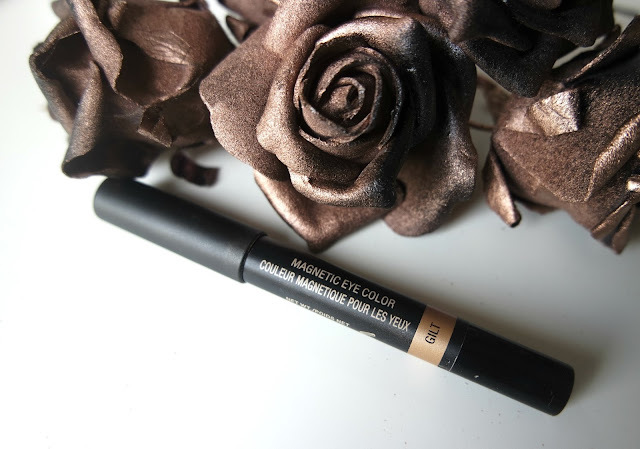 So I got a NudeStix Magnetic Eye Colour in a Look Fantastic Box awhile back now but I thought I would do a little review sort of thing for you. Firstly, receiving this in the box was the first time I had ever heard of the brand which excited me! I love trying things out from different brands. I was also a fan of the packaging looks professional in my opinion.. not really else to say on that front. As for this product it's a crayon eye shadow in the shade Gilt. 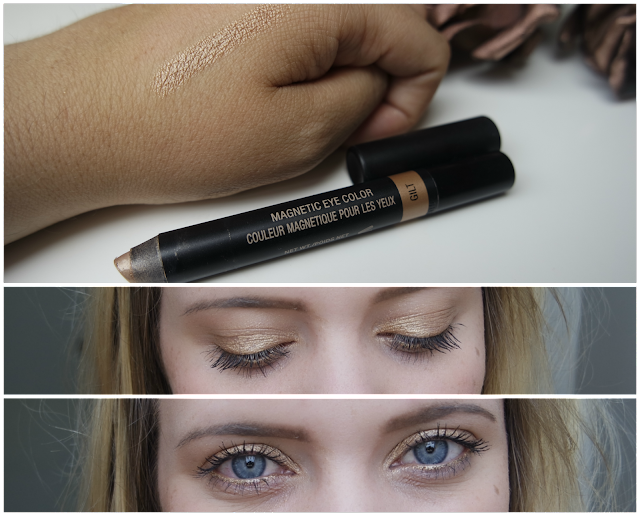 This shade is a gorgeous gold as seen in the pictures above. Texture wise it glides on my hand really smoothly but dries very quickly I found which means you have to blend it out quite quickly if not you'll end up a bit streaky. 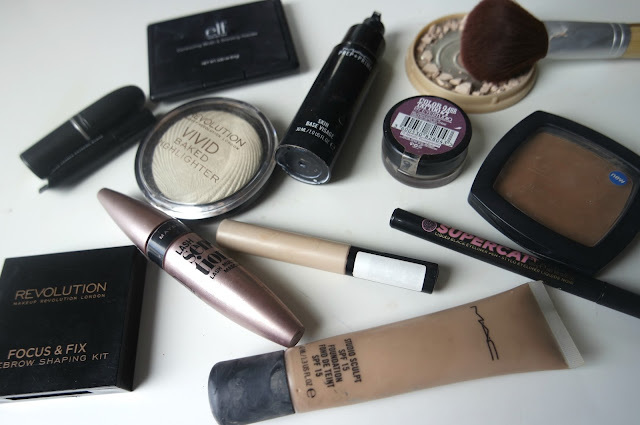 As for wear I found that as it dries really well it lasts all day without smudging and that's without a primer. If you are interested in owning one of these Look Fantastic has this shade plus 7 others, retailing at £24 each. I would definitely like to try out the other shades but at that price I can't really justify it at the minute. So finally i'm back and with one of my favourite types of posts! A face look.. although this time it's my first ever going out / night look... Just want to mention briefly say that i'm sorry for the excessive posing in the pictures for this look! Hey guys! so instead of doing a monthly favourites I am going to do a favourite clothing item, it could be a dress, some jeans a skirt... anything that I am loving at the minute. Its great to wear because first its the right length, its not to short or too long. I feel comfortable knowing that my knickers wont be on show if I bend over or anything. And second it is so flattering! the stripes I think really shape the body in such a flattering way its not too tight, and it has a nice flow. Most importantly it is comfortable to wear! which I think it so important because you want to feel comfortable. if you wear something too tight, or you just don't feel good init you wont feel confident when wearing. so from my own perspective it is the most important aspect when buying clothes. Let me know what you think to the dress and also the idea of doing a monthly favourite piece or clothing or even an outfit? Hey guys! 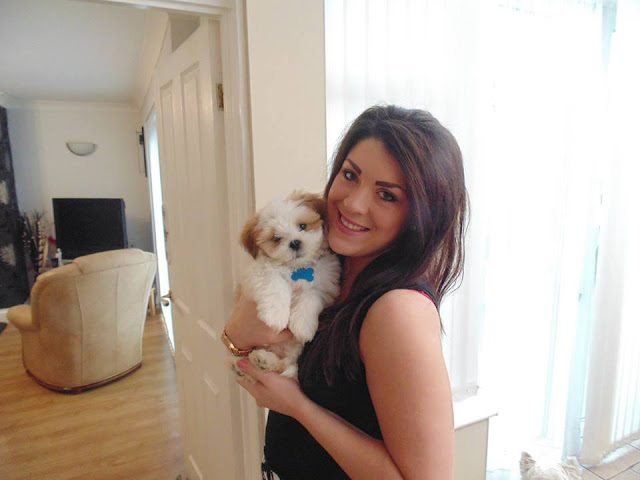 so today is going to be different to my other posts, I wanted to share some of my favourite pictures of my dog George. he is literally my baby! and he is nearly 1 year old! its gone so quick. He was so tiny as a baby the first two pictures are when he was really young! (He was sooo cute) and the other photos are what he looks like now, he has just had his hair cut so he has been all pampered and groomed. I am such an animal lover I also own a cat named Alfie. George is a cross between a Shih Zhu and a Lhasa Apso. I hope you enjoy these pictures. let me know if any of you have pets? if so you will understand my love for them. I think a pet brings so much joy and happiness to a home. See you soon Em xo.